Abhishek Singh (Kabaddi Player) Height, Weight, Date of Birth, Age, Wiki, Biography, Girlfriend, Family,Debut. 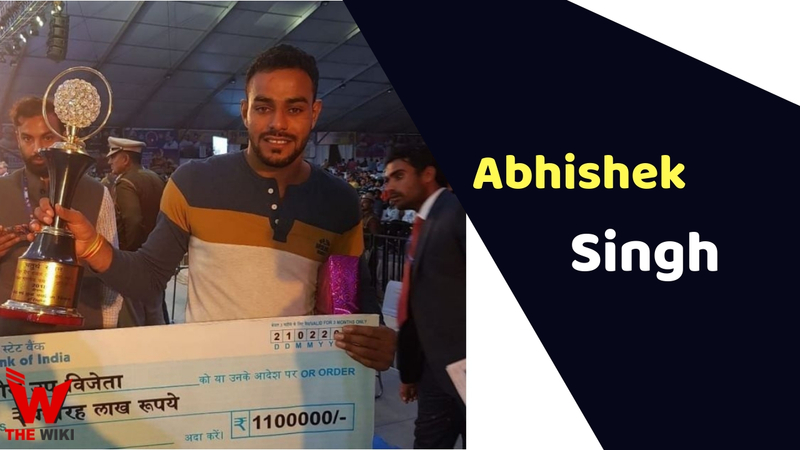 Abhishek Singh is an Indian Kabaddi player. he was born on 3 April 1999 in Bulandshahr, Uttar Pradesh. Abhishek starts his career with pro kabaddi season 6 from the side of U Mumba. U Mumba Spent 42.80 Lakh on him fro this season. From his childhood he always passionate about kabaddi. When he was just 14 years old he start training and learning kabaddi from G.S. Kabaddi Academy in Khurja, Bulandshahr. His stunning performances accomplished through devoted training got him rising in the district and the state level and finally, his efforts didn’t go in vain when he was handpicked to play for Uttar Pradesh in the nationals. Abhishek Singh Always wants to make his career in kabaddi. He debut in Pro kabaddi with season 6. He is highest paid raider of U Mumba in Season 6. Abhishek is known for fastest reflexes on the mat and signature move Back Hand Touch. If you have more Details about Abhishek Singh. Please comment below we will updated within a hour.